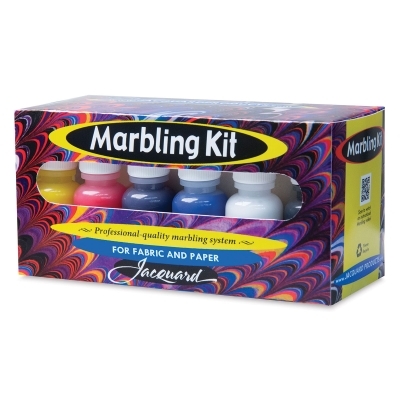 Create colorful, funky swirl patterns on paper, fabric, and more with Jacquard Marbling Kits. The traditional art of marbling is a great way to apply beautiful colors. Each application is one of a kind.